Learn about the design services we offer. 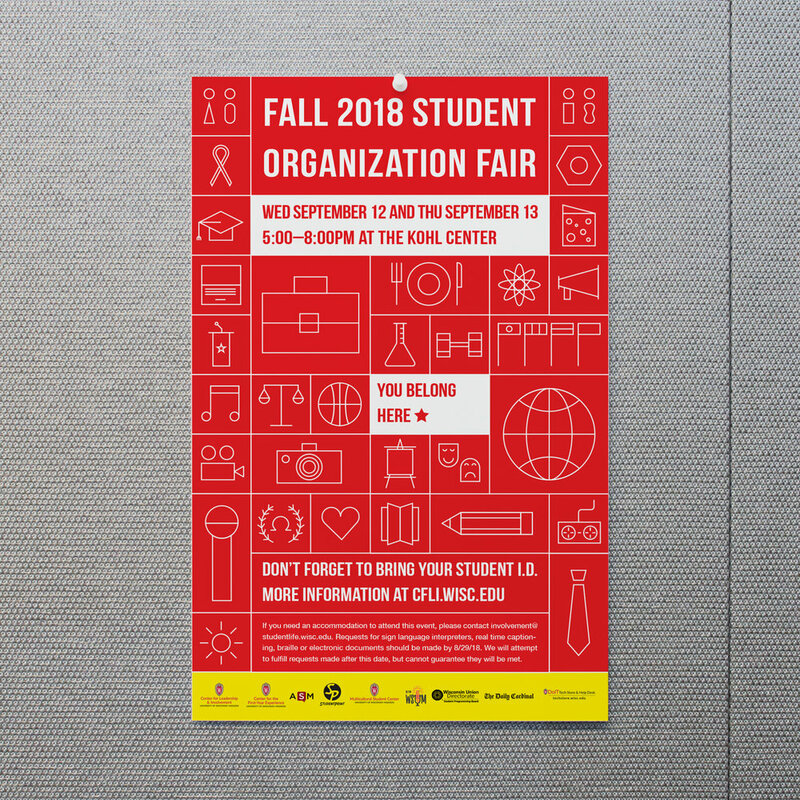 StudentPrint employs two student graphic designers, experienced in working with a wide variety of student organizations, individual students, and the Madison community at large. Our designers can work with you to develop high-quality design materials, from research and development of projects, to marketing and design ideas, to their visual implementation, and everything in between. Even if you just need help altering a document, we are happy to assist! Print media design services offered by our graphic design department include: promotional campaigns, logo development and branding, brochures, booklets, wedding and special event invitations, postcards, business cards, stationery, posters/fliers, oversized displays, annual reports, and more! The flat rate for design is $40/hr., which includes a free half-hour consultation before we work on your project. If you have a file that needs to be adjusted, we will charge a $20/hr. special handling fee depending on the complexity of the request. For more information or if you have questions regarding a specific project, contact the graphic designers directly at spdesigner@gmail.com. *When printing and scanning portions of books or other printed material, please be aware that StudentPrint is a Fair Use print shop and will only scan one chapter or ten percent of the content, whichever amounts to fewer pages. For more guidelines on printing and scanning, please visit our copyright and licensing compliance section.